Rug or comfy and safe crawling surface. Since my baby started showing an interest in crawling, I’ve been excited to give her activities that encourage those gross motor skills. 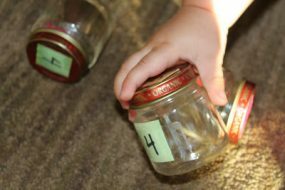 I like super-simple activities for babies, and it doesn’t get any easier than this no-prep crawl and learn activity. 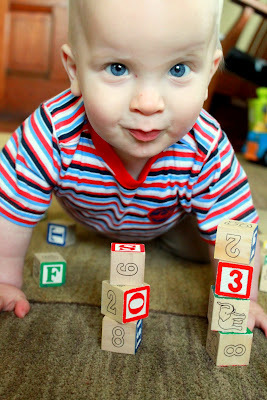 I encouraged my baby to crawl from one block to the next. I honestly think a huge part of crawling success is getting your baby motivated to make the effort. 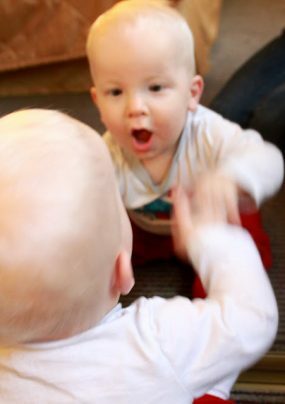 Once babies figure out the “why,” the “how” comes pretty quickly! 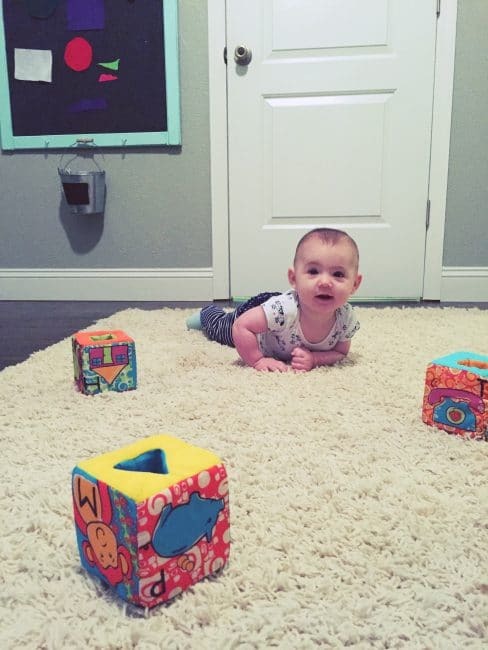 The key here is to space the blocks far enough apart so that your baby has to put in a little work. Keep them close enough together that she doesn’t get too tired or overwhelmed. Set up this colorful scarf circle activity for more gross motor play! This is also a great activity to get your older kids involved in, as well! My preschooler was the sweetest cheerleader for his sister. Have your older child lay on the floor at the opposite end of the course to encourage your baby to keep moving. It’s so much fun! 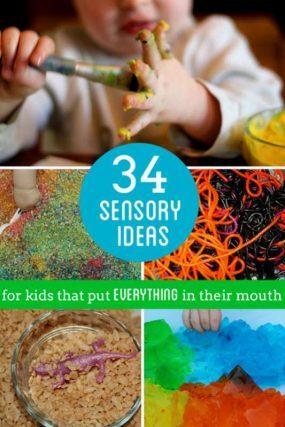 Explore sound with this sensory activity for babies! 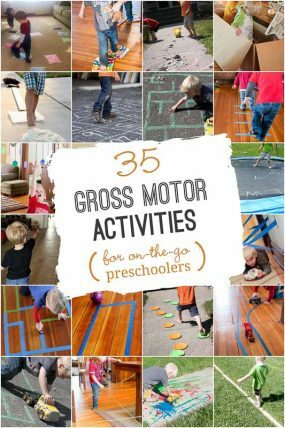 This gross motor baby play idea is so simple on the surface, but let’s look at the depth of benefits for your baby! There are so many levels of learning jam-packed into this simple activity. 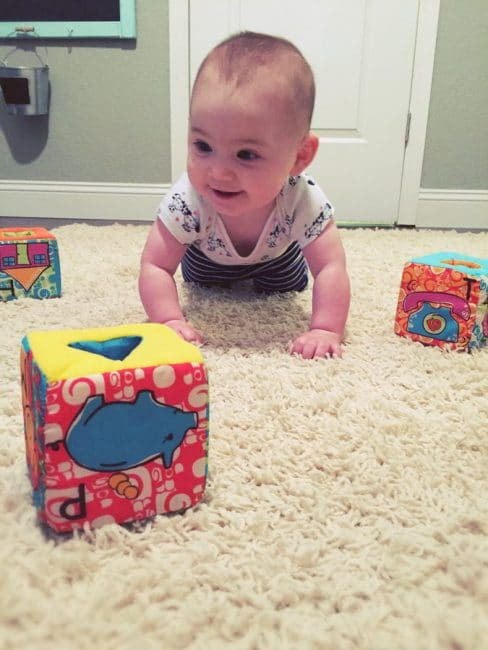 develop gross motor coordination as she moves from block to block. 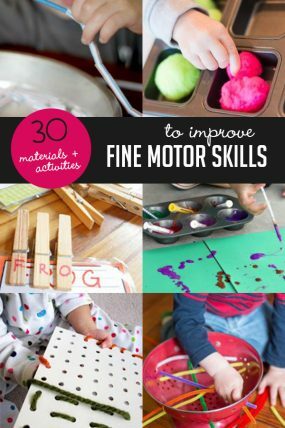 practice fine motor skills as she manipulates the blocks or toys in her hands. practice listening skills that support emotional bonding as she moves toward the sound of your voice. Moving and learning with your baby shouldn’t be complicated or stressful. Instead, it’s all about connecting and learning together. 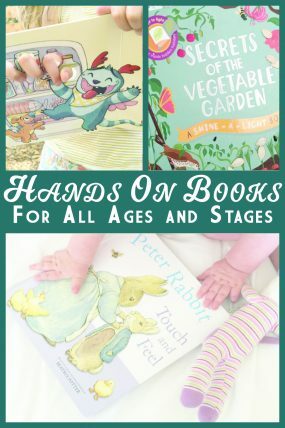 Love this simple baby play idea? You’ll also enjoy this textured sensory wall for tots and babies on the move. 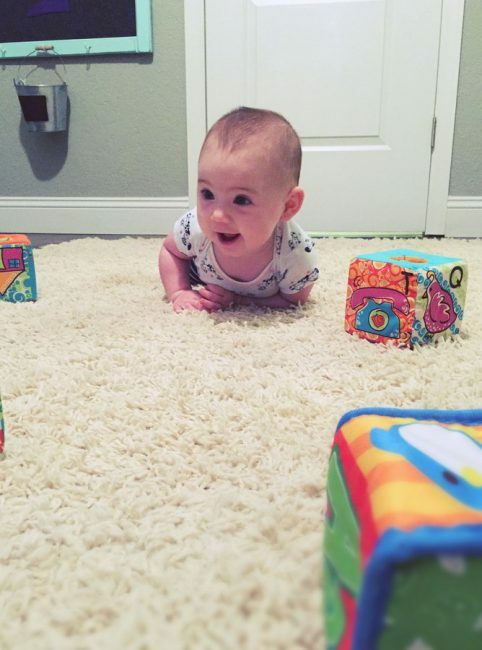 How do you crawl and learn with your baby? Emma is 6 months old.